I am broken and healing, but every piece of my heart belong to you. Hole. Lee. Shh. This sequel is stunning. I have not been this entertained and enthralled with a series since my high school Twilight craze. And I realized—I realized how badly I’d been treated before, if my standards had become so low. If the freedom I’d been granted felt like a privilege and not an inherent right. I don’t even know where to begin. I can’t. I literally can’t summarize over 620 pages into on cohesive review. There’s too much that happened and (whew) I am just wholly overwhelmed with everything. We last left Feyra as a broken shell of a girl – she survived trials and the hardships but her mind wasn’t the same. Tamlin deals with this through a cuddle and coddle method but her fears won’t go away. Then, on the day of her wedding – someone saves her and despite her vehement disapproval – she realizes that she’s in need of rescuing. He thinks he’ll be remembered as the villain in the story. But I forgot to tell him that the villain is usually the person who locks up the maiden and throws away the key. He was the one who let me out. 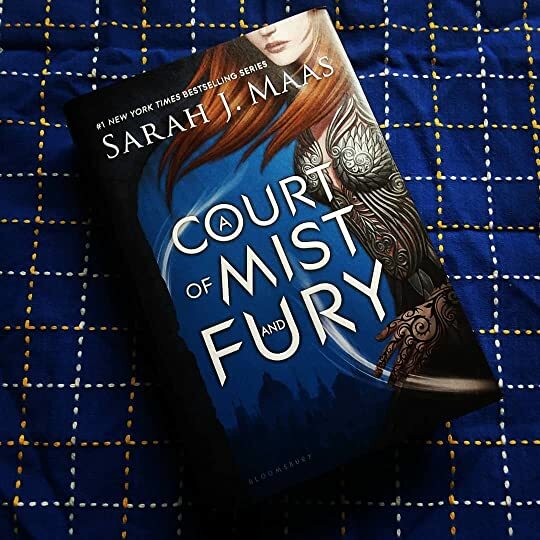 I love how Sarah J. Maas is able to just spin together these inspiring and unforgettable characters. Take the Suriel for example – he has what, maybe 10 pages of the entire book? I absolutely adore him. He’s such a delightful gossiperthat I’m desperately hoping for a reappearance in the third book. Or the Weaver – such a mind-blowingly creepy character – who will (undoubtedly) be long-standing in my memory. She only appears once but that moment her face is revealed – wow. Just wow. Also, absolutely love what the Suriel did this round – somebody had to say something – this ship needed to sail. Get it gurrrrrrl! Okay. I’ve said enough. Book 3 is calling my name and I’m sure as hell not going to keep it waiting. The 2018 Popsugar Reading Challenge – A book about mental health. I loved this one too!! It’s my favorite. Enjoy the journey—I know how addicting it is!! Everyone tells me this is the best one of this series – what are your thoughts? I’d agree. I think my favorite thing about it was how they did a complete 180 with Tamlin and Rhys. I like when they twist the love triangle a bit. When things remain stable for too long, I get bored. Definitely agree about that twist!! It’s rare that I am absolutely shocked by the way a love triangle turns out. I honestly can’t think of any book that so completely turned things around like that! Like my reviews? Enjoy my content? Then buy me a coffee! Reading and caffeine-ing, it's the way to go. Please enter your email address to follow Miranda Reads and receive the latest notifications of new posts by email.